Pleione® grating panels’ main characteristic is the small squared mesh. Thanks to this feature, choosing this product means to go for a fence where elegance and aesthetic join solidity and strength. 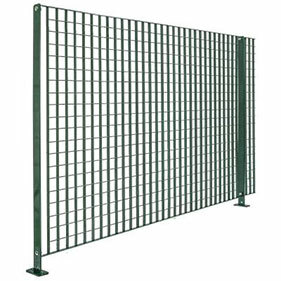 Pleione® perimeter system can be completed with two different types of posts, a 2 23/64″ x 5/32″ or 3 5/32″ x 5/16″ classic flat bar or an Orsogril® exclusive squeezed round tube post. 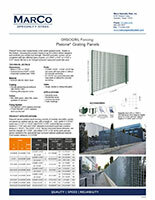 Contact Marco Specialty Steel today to learn more about Pleione® grating panel product options. We’ll also be happy to provide a no-obligation quote.